Today, as I’m sure you’re well aware, we are currently living in a world that is screaming constant social alienation and hatred to people that have particular religious beliefs. It’s an extremely disheartening and deeply concerning climate that we’re faced with, that finding positive stories and experiences is incredibly hard. So, since I’ve already spoken about my experience with Muslims in Brunei, it’s time to now talk about my experience in one of the most visited Islamic cities in the world. I visited Dubai, the largest city in the United Arab Emirates, for just a few days. Without originally knowing, the duration of my visit was spent in the holy month of Ramadan. It was my first time in an almost entirely Muslim country, and I had no idea what I was going to experience. I had never heard anything negative about this country, nor was I open to let the negative views on Islamic culture get in the way of my travels. For those who are unaware, Ramadan is the 9th month of the Islamic calendar, in which all Muslims around the world participate in fasting from dawn til dusk. During the hours of fasting, this time is to be used for prayer, charity, spirituality, and the purification of the mind, body and soul. For tourists, this month is often a little difficult to maneuver. At first glance, what I had flown into felt like a city that was literally on food lockdown. Due to this incredibly important month of fasting, and such a high percentage of Muslims in the country, all food outlets seemed to be shut off from the world. And yes, for those that are wondering, the same occurs whilst experiencing Ramadan in Qatar and other middle eastern countries too! But before having the chance to stop and think what this holy month could mean for the trip, it became clear that Ramadan really isn’t all that bad for people of other religions. 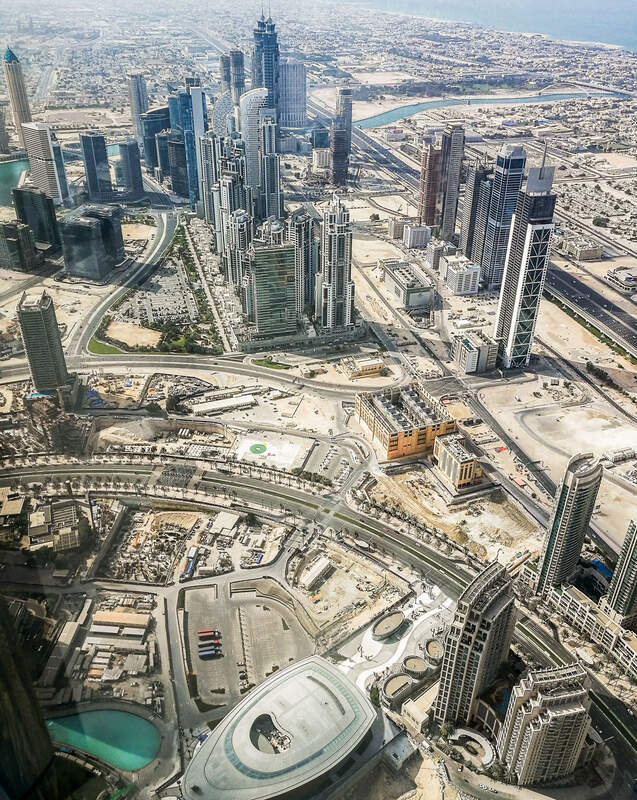 The UAE’s official state religion is Islam, although, all of its residents have the freedom to practice other beliefs as they wish without displaying conflicting views. So, what I thought was going to be a few days without a scrap of food in daylight, was merely proof of my ignorance. In shopping centres, hotels and other popular areas, there were numerous food courts, small restaurants and cafés open specifically for those who practised other religions, or who were like me, non-religious. These locations were completely barricaded, hidden and secluded from the public eye in respect for those who were participating in Ramadan. This month is so important for Muslims, so going to extreme measures to ensure the regard of these people during this time is crucial. But, as I quickly became aware, the respect of other religions is also never compromised. It was a strange experience to be in a country during one of the most important months of the year – but to me, travelling is about accepting diversity. My trip was spent dressing modestly, drinking water in privacy, eating in specific locations and listening to Islamic prayers over intercoms. I travelled just as I would have in any other country in the world, without any differences, except for simply abiding by the culture that I had intentionally pulled myself into. From what you will often hear throughout society, Muslims are often negatively displayed to be intolerant people that fail to accept others beliefs and ideologies. But for me, what I experienced was far from the that. I’m a non-religious person and was completely accepted for that throughout my time in Dubai. When in taxis, stores and strolling around the streets, all of the people I encountered were open to discussing their beliefs, talking about their culture and having kind and friendly conversations about my backgrounds too. Women would chat in the line of clothing stores about feeling faint whilst breastfeeding and fasting. They would talk about how it’s not necessary for pregnant, breastfeeding or elderly people to fast during Ramadan, but that they wanted to for the benefit of their beliefs. Needless to say, what I experienced was no different to any other ‘tolerable’ country in the world. The only difference was that this city was full of people with the same religious beliefs. I left the city – and the country for that matter – without a complaint in the world. I had nothing but admiration and praise for such a diverse, cultural and fascinating Middle Eastern city, but now that I look at it in a different view, there is something I can’t help but fail to understand. Why is it that this particular country isn’t copping the common slack for being almost entirely Islamic – but all the others are? Why is it that we are still flocking to this city when the world is so evidently fearing Islam? It’s so disheartening that such a large portion of the world’s population continue to show complete hatred and bigotry towards this religion in its entirety, yet, the most prestigious Muslim country in the world has made it to #4 on the list of most visited cities. Tell me, where is the logic in that? The US and the UK are 2 of the largest tourism sources for Dubai – but these are also 2 of the countries that are fearing Islam the most. It’s evident that we are far too quick to jump on an entire group of people due to the few who have extremist views, acts and intentions. I think many see this as the easiest option in order to remove the chaos we are frequently seeing in the world, but that is so far from the truth. Why is it that we only fear Muslims that live in developing countries? If we really need to remove all Muslim people from our westernised countries in favour of our safety, what about Dubai? Why is it that the ‘westernised world’ will travel to Dubai so frequently without any angst at all? Why is it that we are so quick to display fear of this entire religion, but only when they’re not providing us with a beautiful holiday destination? Isn’t this enough proof that really, Muslims are not the people we fear? If Islam is the horrific religion that it’s often portrayed to be, why do travellers continue to visit this country? A country that is populated with over 80% Muslims? 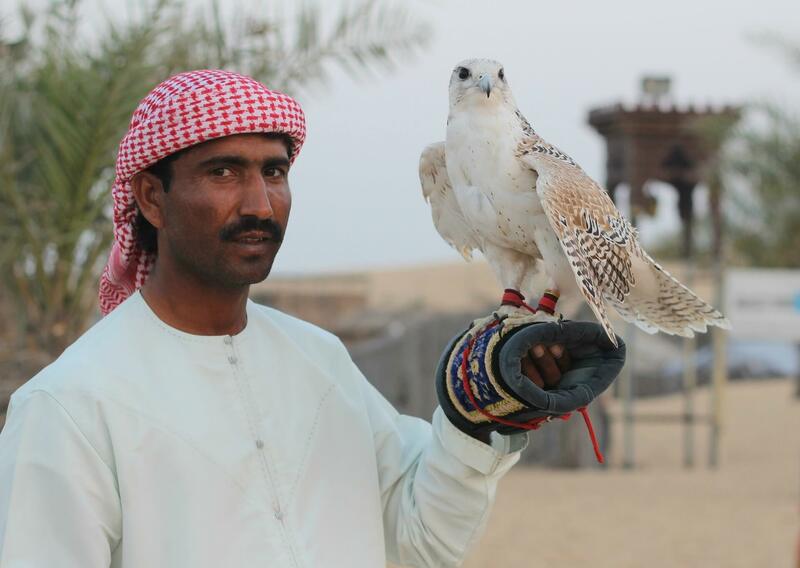 After all, Islamic beliefs in Dubai are no different to those in any other Muslim country in the world. Things such as displaying public affection, eating/drinking/smoking in public during Ramadan, dressing immodestly and being a homosexual (or being caught as one) are all considered unlawful in the UAE. These are standard Islamic laws that you’ll see in every Muslim country, but of course, we don’t hate them when they have such a lovely place for a holiday, right? We really need to recognise that Islamic extremists are those who inflict terror, and that these people only make up for 7% of the religion as a whole. It’s terribly sad that Muslims and terrorists have been completely pushed into the same definition, that now differentiating the two is something that needs to be re-taught. Innocent Muslim men, women and children are constantly stereotyped due to their beliefs, but when they live in such a wealthy and appealing tourist city, the fear is utterly diminished. To me, Dubai was one of the most interesting and futuristic cities in the world. To me, this city showed diversity, tolerance and understanding; even during one of the most important months for their beliefs. I felt welcomed, safe and completely respected. Was this because I’m a white, westernised person? Perhaps. But instead of assuming my positive experience was due to my appearance (no doubt that this is a regular occurrence – I know white supremacy is a real thing), in this particular instance I’m going to stop myself from assuming the worst from Islam. My positive experience was purely because I encountered kind, respectful Muslim men and women who respected me just as I did them. There’s no doubt that terrible things have occurred in this city; in 2016 a very well-known transgender woman was completely denied entry into the country purely for being who she is. These things are demoralising, there is no doubt about it, but these are also things that occur all over the world, not just in Islamic countries. More Americans are killed by white supremacists than by Muslim extremists… Yep. There have been numerous cases of men and women being removed from their homes, interrogated for unquestionable reasons, victims of hate crimes, denied entry due to their beliefs and sent back to their war-stricken countries of origin, all of which have occurred in our very own ‘tolerable’ and ‘multicultural’ westernised societies. It’s really unfathomable that this is what the world has come to; a place where we fear the entire Muslim population when it seems to affect us, and then it’s dropped when they create something we desire. This religion is so frequently slammed for being intolerable towards other beliefs, when we are *also* becoming increasingly intolerable. We seem to be following in the footsteps that Islam is continuously copping unrealistic hatred for. Once again, my experience with Muslims was not filled with terror and threat, it was filled with kind and respectful people during a time of intense prayer and religion. They treated me as a human being, without sexism or disrespect that they are so often displayed as having. As I’ve always said, there are many things that I don’t agree with within this religion and the many actions that have undoubtedly occurred by Muslims with extremist views – there really is no denying it. But can’t we just stop and treat everyone individually? The entire 1.6 billion Muslims in the world have not individually inflicted terror… A group of extremists did, and they are the people that we can understandably fear. There are millions of men and women who haven’t done a single thing wrong – in Syria, Pakistan, Dubai and all Islamic countries around the world for that matter – who are constantly being defined by their religion and its extremists. Of course, when unjustifiable, biased or downright horrific things occur, in no way am I standing with them – no matter whether they are Christian or Muslim. But, until every single Muslim man, woman and child have proved to be harmful, sexist, terror inflicting people, I will not let xenophobia win. Innocent until proven guilty right – Isn’t that what we’re taught? 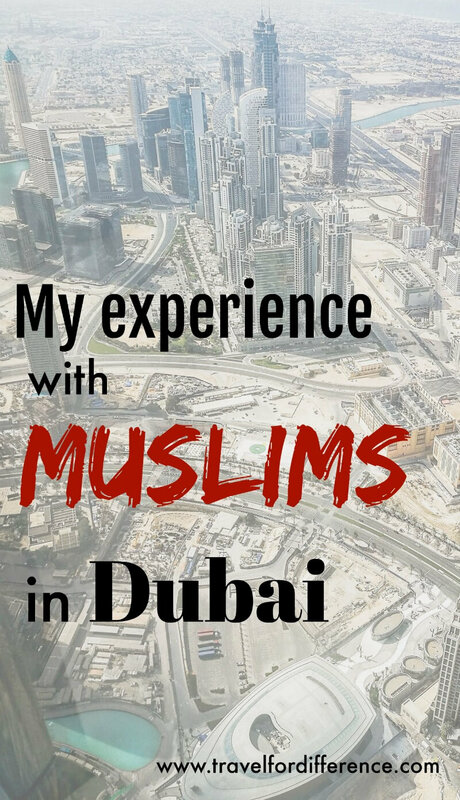 The moral of this story is that whilst I was in Dubai, I was treated as an individual human being, and it’s time that all Islamic believers should be treated like one too. I just came across this post and, boy – you are the epitome of western liberal foolishness. This is the kind of thinking that gets your head chopped off, the fact that it’s still on is a function of luck not wisdom. 7% of 1.6 billion is a very large number of people. Do you not comprehend that 112 million people are considered extremists who are willing to torture, maim and kill you and you think the west is intolerant? When was the last time a western man bombed a mosque or chopped off someone’s head simply because they were muslim? The reality is that western societies are the safest, most tolerant societies which have ever existed and you have the audacity to equivocate the ‘intolerance’ of our immigration processes with the intolerance of terror. You see only what you want to see. Good luck to you, but I hope you wake up, and soon. Thank you SO VERY much for your good wishes Kay… Not once did I mention that terror is an act of tolerance, but if you want to take it that way then by all means do. My point here is that not all Muslims are extremists, so they shouldn’t be treated like one. But obviously you believe otherwise… I’m very much awake, but I appreciate your concern for my wellbeing. Sending you lots of love, it seems like you might need it. Such a sensible write up… You have tremendous maturity for your age ( You mentioned you were born in the 90s )… Keep up the good work !!!…. You are right. Bed peoples are everywhere. Yes, most of them do but there are way to many who doesn´t. The men act like sluts while the women have to be virgins. In Finland 34% of the rapes were made by men from the Middle East. Ive been to Turkey, Lebanon and Morocco- they have the most disrespectful men I´ve ever met while travelling. But there are some angels too. I know a guy from Iraq who respect my country and women- and therefore I respect him. I loved reading this account of your experience Kate. I must saying after living in Dubai for the past four years, its one of the most interesting societies I have lived in, allowing for religious expression, respect and mutual tolerance is something that I appreciate and value about living here. The UAE is truly an amazing place and am glad you enjoyed it. Dubai is definitely more forgiving than Brunei. Here, no restaurants are allowed to operate or serve food at the premise during Ramadhan. People are only allowed to take-away their food and must not consume it in public, even if they’re not fasting or non-muslim. This rule unfortunately even apply to non-halal restaurants. Most Bruneian muslims find this unnecessary and unfair. The Prophet Mohammad himself said that we must not burden others as we perform our religious duties. Obviously it is bad for business and it brings extra hardship to the already challenging food business in Brunei. Wow! Thank you so much for the insight. I definitely agree that that is quite unfair – but I also am a firm believer in respecting diversity and others beliefs. It’s strange that this occurs when as you say, the religion itself states otherwise. It seems as though this is a government issue, rather than one that has occurred due to Islamic beliefs – but please, tell me if I’m wrong on that one! I had such a positive experience in Brunei, I felt welcomed and accepted by all, but I also wasn’t challenging any beliefs by any means. Thanks for your comment, that was a very interesting read! Yes, it is more of a government issue. They’re just being extra protective to some who are maybe weak in facing certain challenges of fasting. To most muslims here, we welcome such challenges of seeing people consume food/drinks in front of us while we’re fasting. It is a lesson that Islam wants us to experience, to put ourselves in the shoes of those who cannot afford food on a regular basis. It is to teach us compassion to help those who are less fortunate. Anyway, having said that visiting Brunei during Ramadhan is still a good idea. It is a perfect time to try the many types of popular cuisines and local delicacies. You can always carry your water in your bags and consume them privately. Generally, Bruneians aren’t bothered with that. We understand how our weather can be unforgiving at times and we still want our guest to be well and happy as they explore Brunei. The best time to visit will be to arrive on the last day of Ramadhan (this year it’s possibly 24th June) because two days after that, the Sultan will open his palace and everyone is invited to dine and then shake his hand with the rest of the royal family members too. The ladies however, will only get to meet the queen and princesses though. So if you want to tick off ‘visiting the largest residential palace in the world’ off your bucket-list, that’ll be a perfect time to visit. That’s so fascinating – I’m not going to lie, when I was in Brunei I didn’t know all too much about Islam, but I certainly did learn so much throughout my visit. I find it completely perplexing that so many assume the worst from this religion; I think most non-Muslims would have no idea about the true meaning behind Ramadan and fasting in general, and unfortunately, they are often far too quick to judge. From what you’ve just told me, fasting seems like a very beautiful concept. Thank you so much for such a thoughtful conversation. It’s been so fascinating learning more about your faith! Awesome post. Nice stat I didn’t know either. Dubai is nice, a little over the top for my tastes, but friendly. Travel, like trade, increases interactions, and decreases mystery, and incorrect propaganda about cultures. Unfortunately, many that hate from fear, and insecurity, wouldn’t have the courage to experience for themselves. Thanks so much Jody! Dubai also isn’t one of my favourite cities, but I really enjoy finding the positive things in every destination. That is so true – with Islamaphobia being such a common fear in today’s society, I really would love to see how many people have actually visited a Muslim country or experienced their culture for themselves. It would give a fascinating outlook on things, that’s for sure. Thanks for the lovely comment Jody!